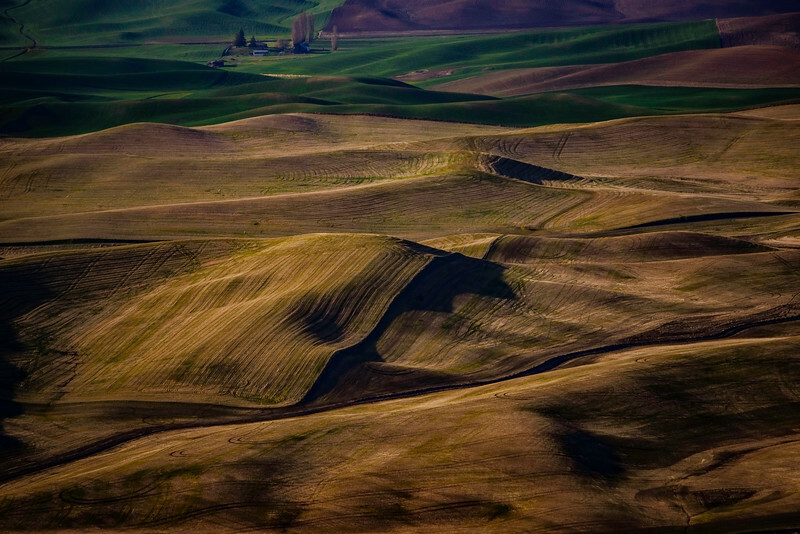 The Palouse is full or rich colors, textures and patterns. It captivates and mesmerizes as you follow the lines: swirls, and waves of greens and browns. The patterns dance in your mind. I call this one ~Coco Mounds~ for the rich chocolatey tones and mounds.